Parkland Commissioner Jared Moskowitz plans to ask the City Commission to pass a ban on texting while driving within Parkland’s city limits. They would become the first city in Broward County to pass such a ban. The main argument in favor of the ban is that text messaging behind the wheel creates a dangerous and unnecessary distraction. In fact, a recent study by a vehicle safety research organization found that drivers who text while behind the wheel of a car or other motor vehicle are 23 times more likely to crash than other drivers. Another study out of Virginia Tech’s Transportation Institute found that the average text message takes the driver’s eyes away from the road for 4.6 out of every six seconds. However, critics worry that it could be difficult to enforce the ban, because some drivers don’t know when they enter city limits and it could be hard for law enforcement officials to see if someone is texting while they’re driving upwards of 30 mph. 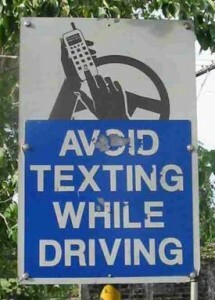 The fines for texting behind the wheel have yet to be determined, but they could mirror similar laws in other states. For instance, California fines drivers $20 for their first offense. Lawmakers say they are still pushing for a statewide ban on texting while driving. Call “Mitch Bail Bonds” for Bail Bonds in Florida and Nationwide.